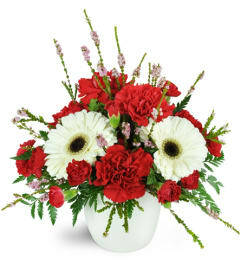 Peaceful white blooms are a lovely way to express your heart's deepest sentiments. 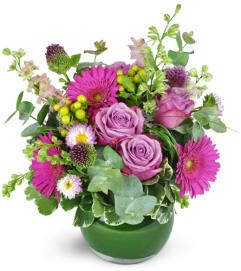 For a special anniversary or to show your sympathy during a difficult time, this stunning combination is an ideal gesture. 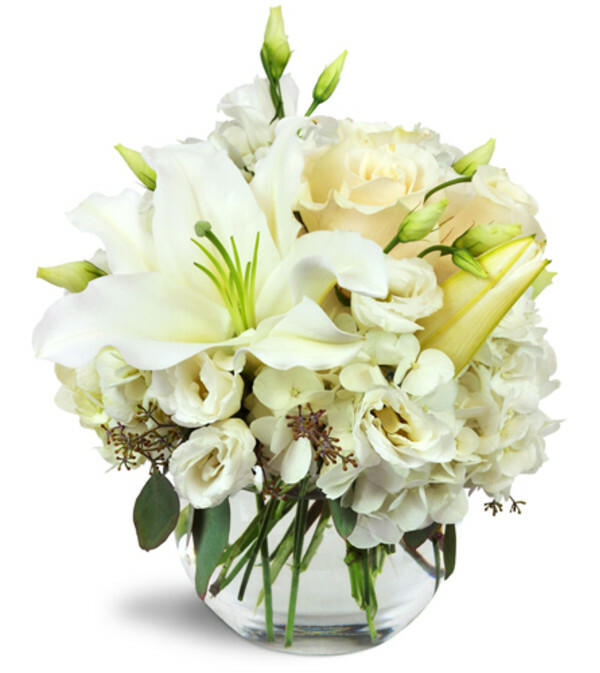 Lilies, roses, lisianthus, and more - all in shades of creamy white - are elegantly arranged in a large bubble bowl.